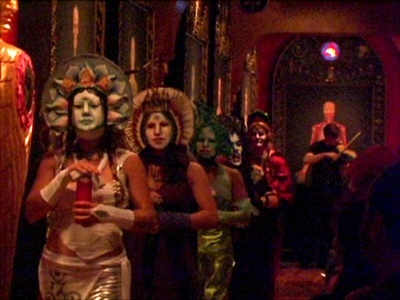 Masks in traditional societies are viewed as liminal tools, as “vessels for the sacred powers”. After studying mask arts in Bali I returned to the U.S. in 1999 to create 30 multi-cultural masks based on feminine deities throughout the world. Inspired by Balinese sacred mask traditions, I wanted to offer the collection as contemporary "Temple Masks", devoted to celebrating mythologies of the Divine Feminine. The Collection has grown and traveled throughout the U.S., used by dancers, choreographers, storytellers, ritualists, priestesses, and psychologists. Masks have so much transformative power. One might say that they are like cups, waiting to be filled. 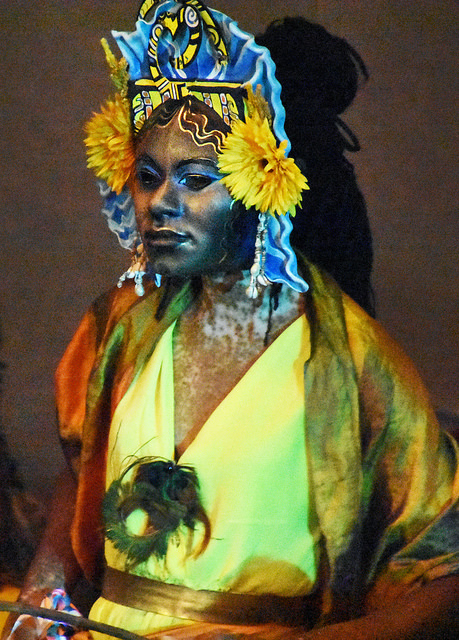 The Masks of the Goddesses were created to re-claim and re-invent these important stories, as well as empowering women to explore each archetype within herself. What does the story of Sedna , ocean mother of the Inuit, have to teach us about ecology and reciprocity with the Earth? What is the Gnostic Christian "Mirror of Sophia"? How is the "Descent of Inanna" a potent story of psychological death and rebirth, the journey toward wholeness? 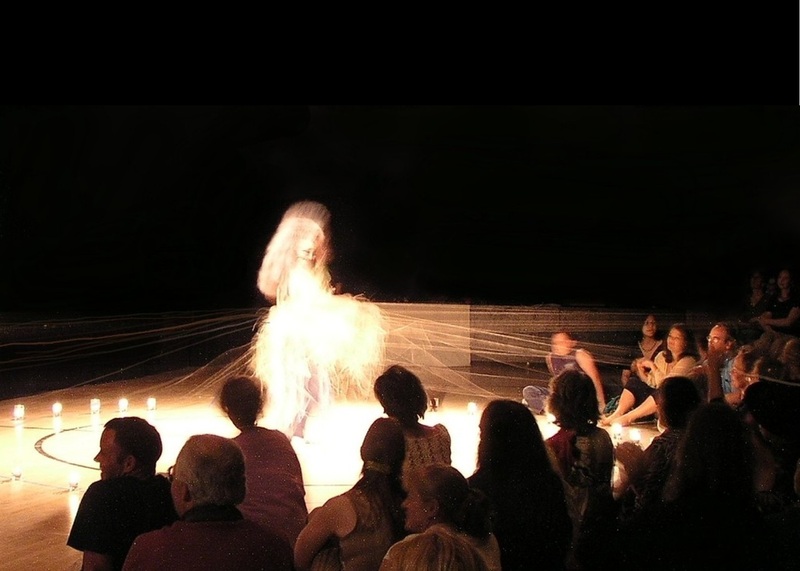 How is Spider Woman, the great native American Weaver, an important metaphor for our time? As I and colleagues used the collection to produce community performances and in workshops we evolved unique and effective ways to work with them. 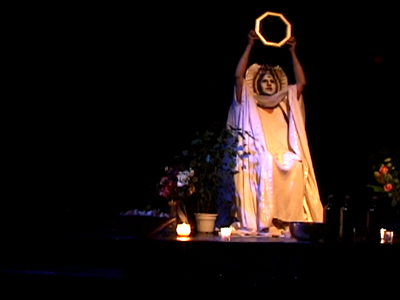 In 2013 I produced a new series I called "Numina - Masks for the Elemental Powers" that were featured in a new play by Ann Waters - "The Awakening - Our Changing Earth" addressing climate change. In 2015 the Collection was performed at the World Parliament of Religions in Salt Lake City.